Condair is launching the Condair RO-A reverse osmosis water filter, specifically designed for use with humidification systems. 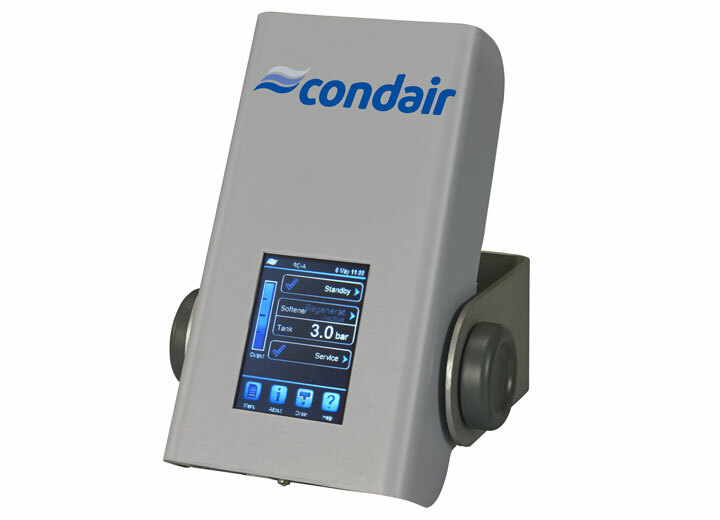 The Condair RO-A removes 95% of dissolved solids from a humidifier’s supply water in order to reduce maintenance, improve energy consumption and benefit ongoing running costs. 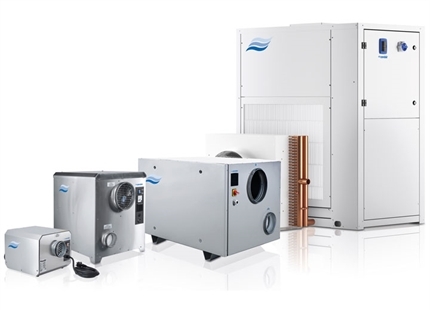 When operating on regular mains water, a steam humidifier will frequently need to drain hot water and replace it with fresh, in order to dilute mineral levels in the boiling chamber. This process requires more energy to heat the incoming cold water. It also impacts humidity control, as when the boiling chamber’s temperature drops so does the steam output. 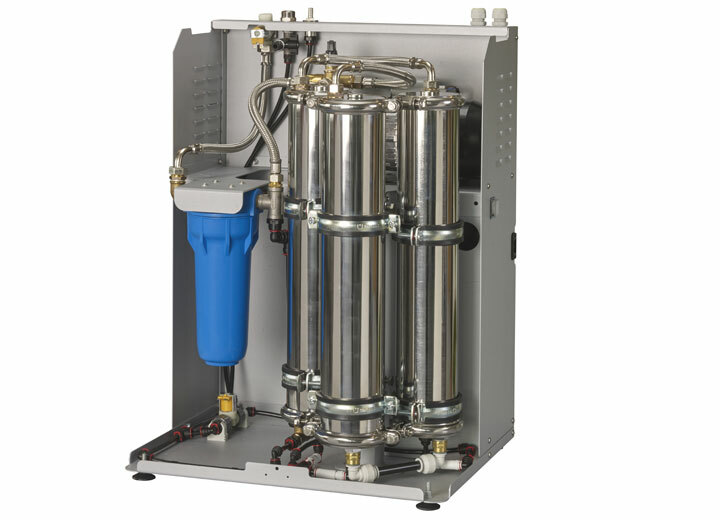 By operating a steam humidifier on reverse osmosis (RO) water from a Condair RO-A, these drain cycles are reduced by up to 97%. 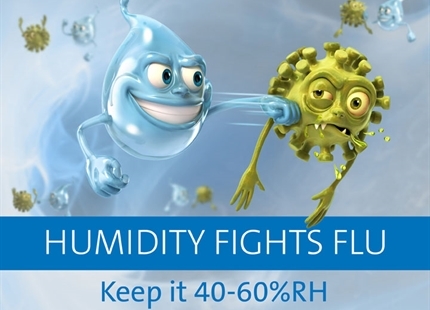 This in turn reduces energy and water consumption of the humidifier and enables a close humidity control of up to ±1%RH. 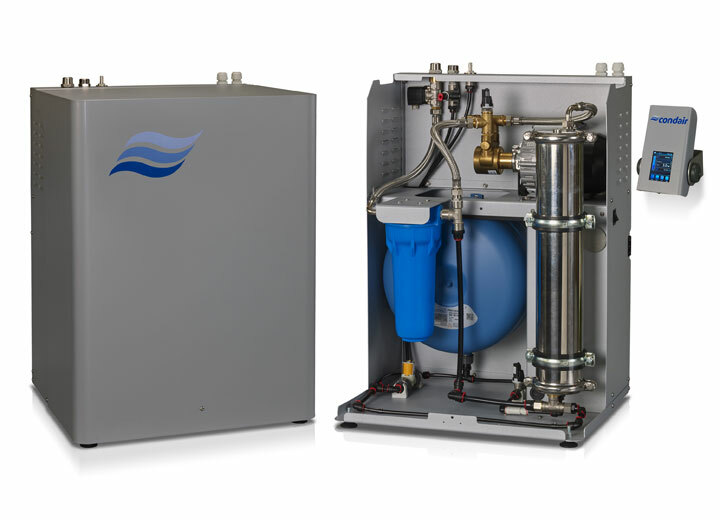 With the use of virtually mineral-free RO water, the lime scale build-up inside a steam humidifier’s boiling chamber is minimal, reducing humidifier servicing requirements. When used with evaporative humidifiers, this reduction in lime scale formation results in evaporative pads having a much longer lifetime. The required frequency of an evaporative humidifier’s water tank drain cycles is also reduced, saving water. 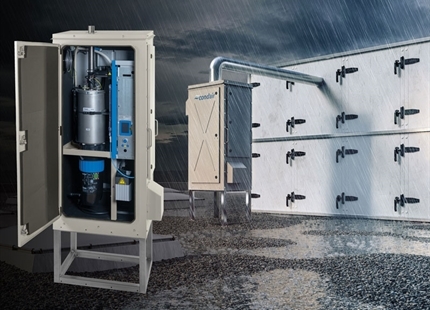 Operating spray humidifiers on RO water prevents dust from precipitating into the atmosphere as the spray evaporates, improving the performance of the system. 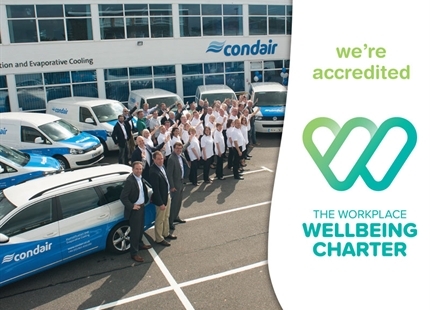 The Condair RO-A has been designed to deliver water at an ideal quality for humidification systems, whilst minimising waste water from the RO process. Many standard RO water filters provide product water at a purity that is much greater than that required to benefit humidifiers. The high purity means more water is sent to drain during the RO process to achieve a very low mineral content. By typically removing only around 95% of the minerals, the filtered RO water effectively provides significant benefits to humidification systems with minimal water being sent to drain. 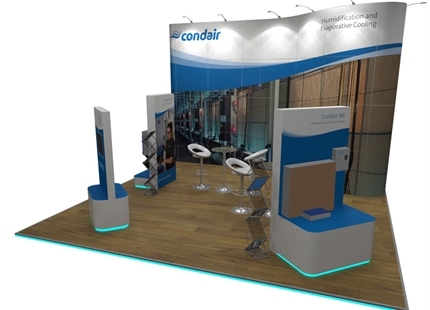 Four models are available in the Condair RO-A range, with maximum outputs of 40, 100, 200 and 300 litres per hour. 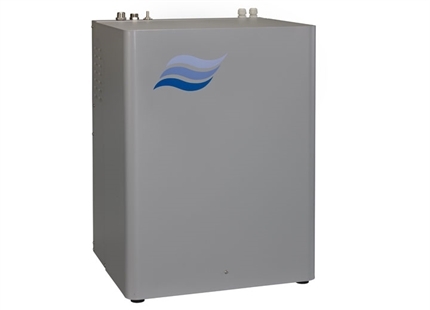 The 40 and 100 litres per hour models have an integrated water tank and a single RO membrane. 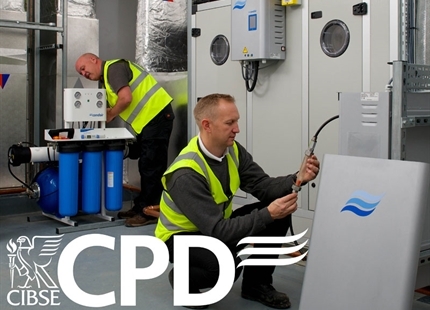 The 200 and 300 litres per hour models have two or three RO membranes and an external water tank with up to 100 litre storage. An independent wall-mounted touch screen controller provides an intuitive user interface with comprehensive reporting features. 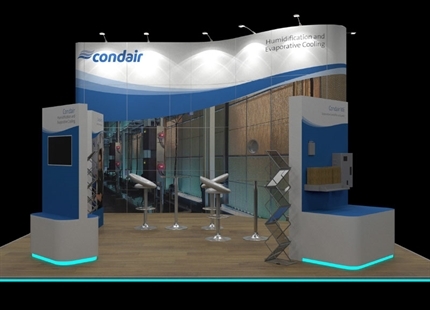 Alternatively the Condair RO-A can be controlled from Condair humidifiers that incorporate a Condair touch-screen control panel. Condair RO-A reverse osmosis water filter for humidifiers reduces maintenance in steam humidifiers by removing the minerals in the supply water.